WINNIPEG, Man. 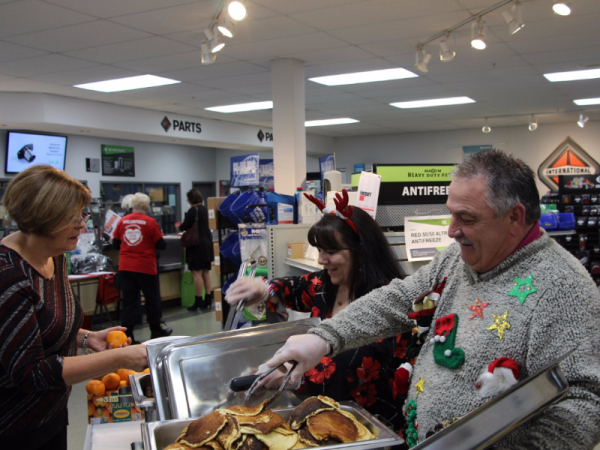 – A quarter of a century in, and Maxim Truck and Trailer continues to amaze with its charity pancake breakfast. Held Dec. 7, the annual event raised more than $27,000 for the Christmas Cheer Board of Winnipeg, with over 500 attendees coming out for breakfast whipped up by volunteers that included Maxim employees and suppliers. The Christmas Cheer Board offers support to Manitoba families that receive provincial assistance, as well as the province’s working poor. In June, Maxim also took part in the Challenge for Life 20km walk, raising more than $200,000 for CancerCare Manitoba.